The EMODnet / SeaDataNet portal and all metadata services are public domain. However, a User Registration is required for submitting requests for data sets and for downloading data sets from the distributed data centres, which is arranged via the Common Data Index (CDI) service. The user registration is required to ensure that users agree with the EMODnet / SeaDataNet Data Policy and its associated User Licence, that is ruling all data set deliveries. For registration, EMODnet / SeaDataNet makes use of the marine-id services. Therefore you will first of all be asked to register with marine-id (in order to get a personal login name and password) and then to follow up by registering for the SeaDataNet services. If you already have a marine-id login, then just authenticate yourself by login, and you will be directly transferred to the EMODnet / SeaDataNet registration service. Users will have a personal login name and password at marine-id. Registration confirms, that the user accepts the terms and conditions of the EMODnet / SeaDataNet User Licence. Completing this registration, the user will get a 'public' role and can work with all EMODnet / SeaDataNet services. Note: Registering only as marine-id user is not sufficient! 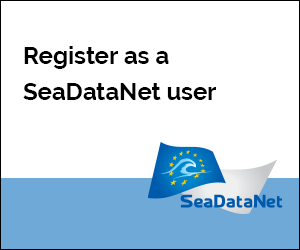 EMODnet / SeaDataNet users become part of the SeaDataNet Central User Register, where the user registration is managed per country by the specific National Oceanographic Data Centre / Marine Data Centre. This centre will later validate the initial user registration, and can decide to give another role than 'public'. This can be useful for requests for access to more restricted data sets, while 'public' gives direct access to all data sets that are labelled as 'unrestricted' or with 'SeaDataNet license'.